Lean Supply Solutions will act as a supply chain integrator; a 4PL that assembles and manages the resources, capabilities and technology of our own organization with those of complementary service providers to deliver a comprehensive supply chain solution to our clients. Lean Supply Solutions can create unique and comprehensive supply chain solutions that cannot be achieved by any single provider. We have the expertise to manage resources and other 3PL companies, value delivery processes and technology for our clients in order to allow our clients to totally outsource their logistics management activity. We are continuously developing our order fulfillment services, supply chain management, and 4PL contract logistics. We can manage your 3PL logistics so you can focus on other aspects of your core business by leaving the bulk work to us. We provide quality, continuous improvement, world-class IT solutions, and more. We combine leading edge IT solutions, and efficient tools, infrastructure, and processes to provide our clients with a solid platform to grow their business in terms of fulfillment capabilities. These e-commerce fulfillment services include warehousing, distribution, fulfillment, pick & pack, transportation, and much more. Our inventory management software can help you plan and organize yourself to make the right decisions about your products. Maintaining control of your inventory ensures you have the right number of items in stock; not too much, or too little. Businesses of all sizes should focus in inventory planning as one of their top priorities, as it directly affects your success. Our warehousing and distribution site is situated close to the majority of our clients, to provide better, faster, and more cost-effective shipping, warehousing, and distribution services for our customers. We employ the right amount of staff to find items from your inventory warehouse, pack and label them, and ship them to your customers accurately and on-time. These services free your hands to focus on customer service, understanding the data of your customers, and creating new strategies to grow your business. In that time, we will focus on the hands-on, bulk work, or on managing your inventory, warehouse, and product packaging and delivery. We have the space and organization to store, receive, and distribute your goods and materials. We keep our warehouse organized to ensure no time is wasted on the floor, and we implement automation to run more efficiently, accurately, and timely. All e-commerce retail companies will deal with product returns. Whether items do not meet customer expectations, or are no longer needed, you need an efficient returns management solution to deal with these returned products and goods. Our reverse logistics management solution reduces waste, helps your business recover from lost sales, and creates a way for returned items to be reused, refurbishes, or recycled. We offer advanced technology and services that help our clients focus on their core responsibilities. Our information technology platform is cloud-based, enabling our clients to enjoy scalable, secure, and flexible on-demand computing. Using the Harmony Logistics technology platform, we can help you gain complete control over your inventory to minimize delays, increase time-to-value, and be more efficient. 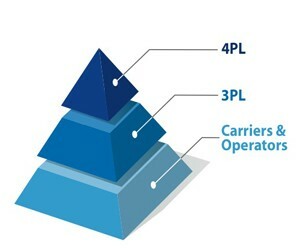 One of the main reasons why businesses for 4PL services is because they want to eliminate waste in their organization. Efforts to be more efficient in terms of purchasing, warehousing, scheduling, shipping, and accounting can be challenging to achieve with running your business out of your garage. As your business grows, it’s time to step up to the competition and get better control of your supply chain, so you can focus on what’s important.